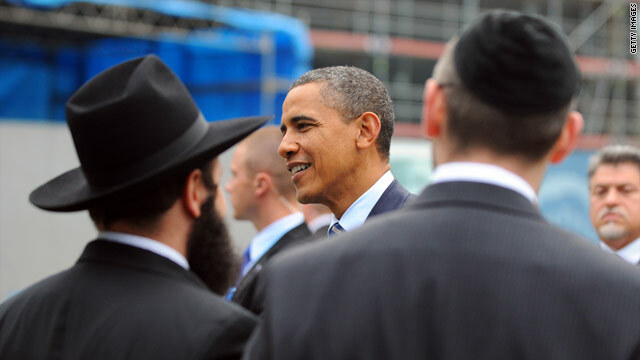 Has Obama lost the Jewish vote? Washington (CNN) - Jewish voters, a typically reliable bloc for the Democratic Party, are now the focus of Democrats intent on keeping their support and Republicans who see an opportunity to pull them in after New York's recent special congressional election. Longtime New York Democratic strategist Hank Sheinkopf said the election, in which a Republican won the historically Democratic district, was in part a reaction to the president's approach to Israel. Sheinkopf said the contest served as a "liberating device" for Jewish voters and not just Orthodox Jews, who tend to be more socially conservative. I do truly hope that our foriegn policy isnt sold to whatever voting block is required to get re-elected. If we: shed allies, start wars, play the world's despot/policeman – just so we can fix the next election in our favor, then we as a society are doomed. I hope the President makes the right call – whatever that may be – based on the merits of the decision itself, not due to the latest polls and advice from his campaign manager. Wonder when the White House will break the news to Obama that he's not only lost the Jewish vote, he's lost Democrats and Independent votes as well. Well, you get what you vote for. I find it hard to believe that Jewish people will join the bigoted tea baggers to make up an unlikely coalition united to ruin America. Perhaps he is most definitely in the process of doing so. Is this AMERICA ......Or is this ISRAEL? Obama refused to turn a blind eye to israeli settlements policy. He asked them to stop, something which every President has done, except for George W. Bush, since 1967 and Israel has complied. Always complied until now. If Jews and Israelis wish to see a violent, extended war fought on their holy lands, then I strongly suggest that they vote Republican. I have never seen Obama flip so completely on an issue. This time last year he was openly rallying for a Palestinian state and bashing Israel and now he says he will veto Palestinian statehood. Amazing what a lot of potential votes and money can do. I am sure he can lure some back but others have to be thinking its all just a political deal and as soon as he gets re-elected he will be back to ostracizing and disrespecting Israel. Jews have any brain, they support Obama, well these guys know, that GOP idiots played all these years, and Israel suffered...don't they know this truth...??????????? I think he has lost more than just the Jewish vote.